I sat and wrote a HUMUNGOUS blog post last night to share with you all, and I’ve switched my PC on this morning to primp and preen it, and guess what. No bloody document. Cue much head flushing down the toilet. Okay, moving on. There are a few issues that I want to talk about. There are always issues in SL, have you noticed? I’ve come to realise that there is more drama in the virtual than the real world ..it’s only taken me three years but now I think I finally get it. Wake up and smell the coffee eh Kitty? The article can be read HERE and it‘s clear from the outset that this is a piece formulated with the intention to condemn, rather than congratulate . Read it – It stinks of someone being given a brief and getting fed up half-way through and then writing some really poor copy as the deadline fast approaches. 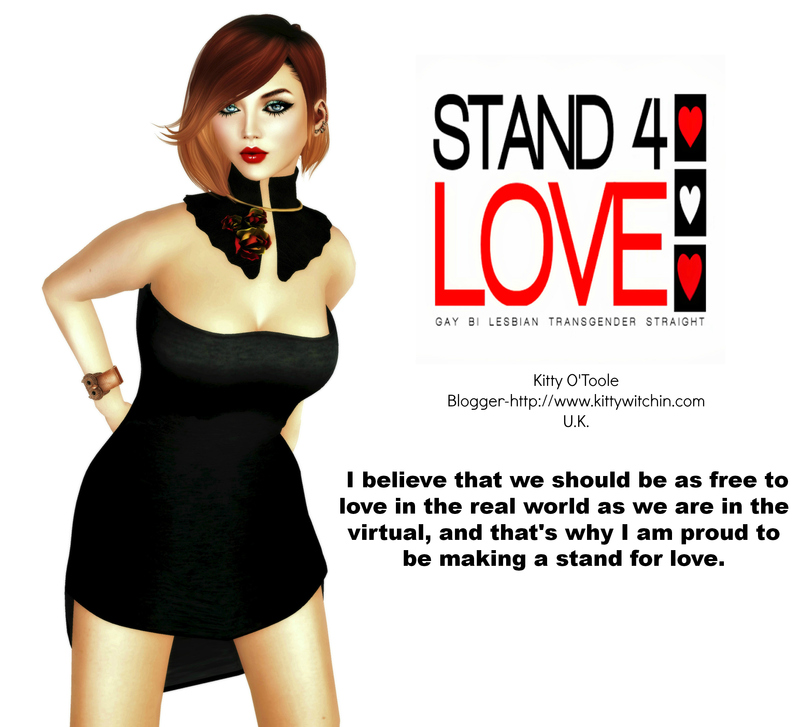 Okay, perhaps I am being a bit harsh, and somewhat vociferous in my complaining, but seriously Second Life is a huge success and the mainstream media just does not want to recognise that fact, period. I think initially News organisations got swept away bu the hype that they themselves were creating, quickly embedding themselves in a world that they actually didn’t fully understand which has lead to a lot of resentment from organisations like Reuters. If you remember Reuters actually had an embedded Journalist in world, but apparently they don’t like to recognise that. Oh boo-hoo Reuters. The issue there of course was it was all a stunt, Reuters got swept up in the zeitgeist but when it came down to it, actually they didn’t know what to do with Second Life. And therein lies the problem…contrary to popular belief, SL is NOT RL 2.0 Once embedded in our world the reason that Reuters failed was because they were trying to report upon it as though it was real life, which simply doesn’t apply. Everyone has different motives for being in-world, and that’s why conventional reportage simply does NOT work. What does work, is the approach taken by Wagner James Au, on his New World Notes blog. You know, if there’s nothing worthy in SL to write about, how come he’s been so successful in doing just that? Read the article, and then read the published comments, you’ll see mine is the very last one at the bottom. The BBC got a lot of feedback , and you would have thought this issue would have died down pretty swiftly. Not so, it reared it’s very ugly head again just yesterday, after Lauren was interviewed upon New Hampshire Public radio. I’m not going to write much more about this debacle, because I’m pretty pissed and will ramble on forever about it and besides, Wagner has the salient points pretty much covered…but again she made obvious mistakes during her discourse which you can listen to via a link on his site. Incidentally, it’s not just me who got annoyed by this; check out M Linden’s comments too..
Ok, on to my next topic of conversation, which is causing much consternation across the grid. Within the next couple of months, SLX ( XstreetSL) is going to change the way that freebies are retailed across their site. First up, they’re going to charge content creators for flogging freebies, because these are now viewed as promo items. Now, there are THOUSANDS of us who have used Xstreet to peruse and select freebies, as well as paid for items. I have found some amazing stuff on that site, some of which I have blogged, that has cost me next to nothing, but has led me on to buy items from the creator…all this is now going to end. Here’s the rub..if you’re a designer who retails freebies upon SLX ( and they define freebies as anything that costs less than 3L) then you’re going to get charged 99L per month per freebie for the privilege. It doesn’t just stop there either; the minimum commission rates have now increased too. Freebies play a very valuable part in raising a designer’s profile and generating traffic to their full-price items and stores in world. This action will mean that smaller vendors are going to suffer the consequences. If you make a good income from your SL wares then you could probably suffer the cost increases, but if you’re just starting out? This is a crushing blow to the more modest retailer for sure, who may find it a struggle to make customers aware of their brands without this outlet. Not only that, but the more established brands are now in line for huge monthly charges too. This is without a doubt one of the daftest notions that Linden Labs have come up with recently, and by ’eck, as they have proved so many times in the past, they are more than capable of coming up with ridiculous ideas. Let’s not forget that Linden Lab is turning over a VERY healthy profit, so why they feel the need to come down so heavily on the more modest retailer is beyond me. In fact, reading between the lines this really feels like an elitist gesture, an attempt to separate the wheat from the chaff as it were. Instead of letting the customer decide who is deserving of our patronage, Linden Lab has now decided it is going to make that decision for us, and push the smaller businesses out of the loop entirely. I was going to list my shapes on SLX but I’ve now decided I’m going to do no such thing, and I’m not the only one either. From various discussions I’ve had upon the grid I’ve discovered that a lot of retailers are very intent on leaving SLX and the exodus has already begun in some quarters. This decision is certainly going to shape my virtual purchasing too…..Way to go LL! Finally, some sad news. I didn’t know until this week that Tim Guest, who wrote the book ‘Second Lives-A Journey Through Virtual Worlds’ had died. He actually passed away in July..I have been so far out of the loop that I had no idea until I discovered the news via a random web search that I was conducting. Tim was an exemplary author; when I first got into Second Life I went out and purchased every tome I could about this wonderful virtual world that I’d discovered, and his book was the first that I read. I found it interesting, informative and although I didn’t necessarily relate to his SL experience ( it is different for each of us after all) I appreciated what he was trying to document. I met Tim when I was interviewed on Radio 4. He was down the other end of a phone line into the studio but I got to say ‘Hi’ to him and that pleased me no end! I mean, I’d read this guys book and here I was on the radio with him! I felt blessed to be recorded in such esteemed company.